Federal Capital Partners® (FCP) and Insight Property Group (Insight) are proud to announce the grand opening of Buchanan Park, one of the most luxurious and distinctive new home communities to be created on Capitol Hill in a decade. Buchanan Park townhomes have been crafted to embrace the surrounding community by using enduring materials and by creating inviting public spaces. 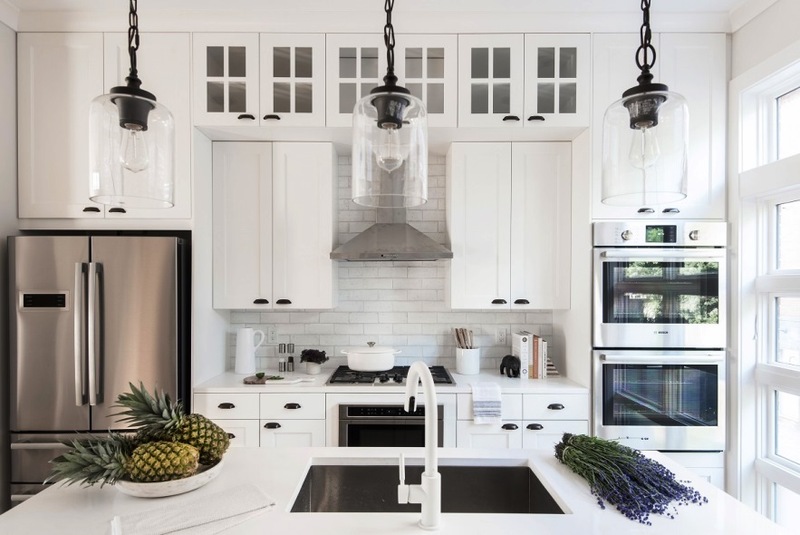 Of the initial phase offered for sale, more than 35% have been pre-sold in the months leading up to completion, exceeding expectations and reinforcing the appeal of both the home designs and the unique setting. Phase II is now being made available for purchase with the opening of the sales model, located at 418 13th Street, SE. Buchanan Park, located at 13th & D Streets, SE on the grounds of the former Buchanan School, honors the historic fabric of Capitol Hill by seamlessly blending the old and new. The 3 and 4-bedroom townhomes with rooftop terraces, Juliet balconies, Bosch® appliances and designer finishes boast public green spaces that welcome surrounding neighbors and link Buchanan Park to the thriving Hill East community. The Central Green features a generous lawn area for picnics, children’s play, evening strolls and benches perfect for unwinding. Guetler’s Way pays homage to the actual alley, Guetler’s Court, that existed onsite during the late 19th and early 20th centuries, as well as the myriad alley spaces found on Capitol Hill, and will entice and delight neighbors with flower boxes, plantings, distinctive lighting and refined brick and cobblestone paving. 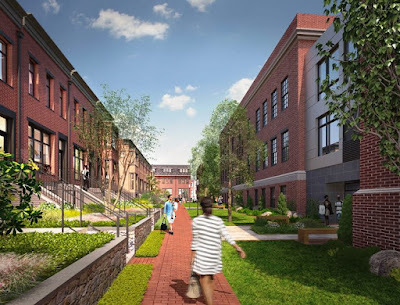 “The townhomes were designed with an eye to ensure they will stand the test of time, like the 100-year old homes that surround them and invite residents and neighbors to share special walkable spaces within this neighborhood inside a neighborhood,” noted Insight Partner Sarah Davidson. 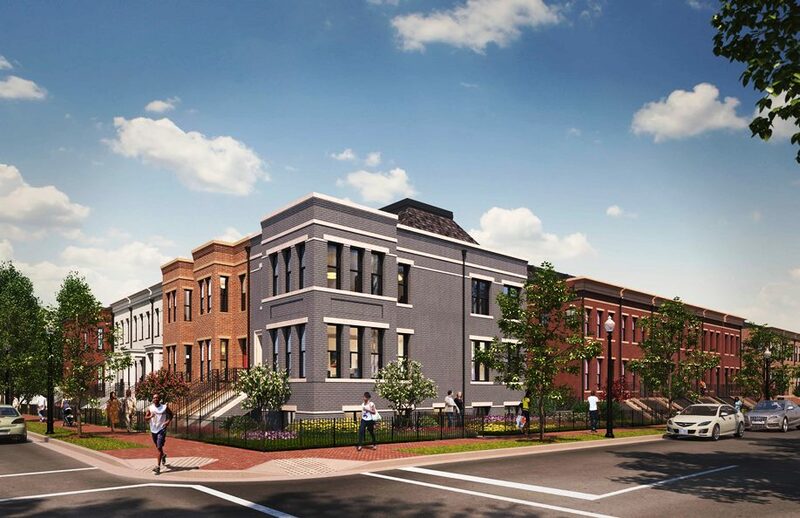 Buchanan Park residents will enjoy one of the most convenient and cherished locations in Washington, DC, just three blocks from either the Eastern Market or Potomac Avenue Metro stations and steps from the retail and restaurants of Barrack’s Row and Capitol Hill. Conveniences are at the doorstep of the community with grocery stores, Frager’s Hardware, schools and coffee shops all within a short stroll. One mile to the south – walking past Barrack’s Row and the beautiful Marine Barracks grounds or a quick Uber ride – are Nationals Park and the waterfront entertainment areas. 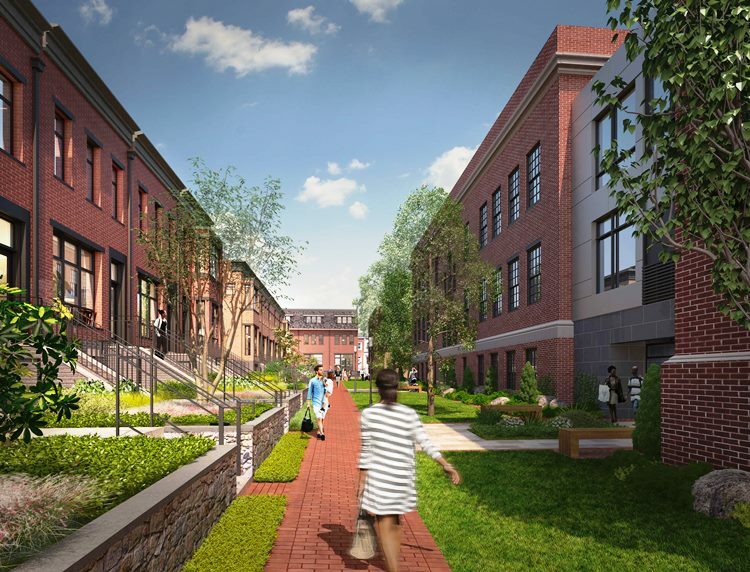 Buchanan Park also includes the renovation and construction by Ditto Development of new, luxury condominiums in the historic Buchanan School building within the site and adjacent to the townhomes. The Buchanan Park team includes award-winning local firms FCP and Insight (owners and developers), Maurice Walters (architect), Parker Rodriguez (planning and urban design), ADG (interior design) and McWilliams Ballard (sales). Contact the sales team of Craig Souza and David Klimas at McWilliams Ballard at 202-750-5949 or email to dklimas@mcwilliamsballard.com. Visit www.buchananparkdc.com for more information on the community.